Alan Courtenay accepts the ALS ice bucket challenge ! 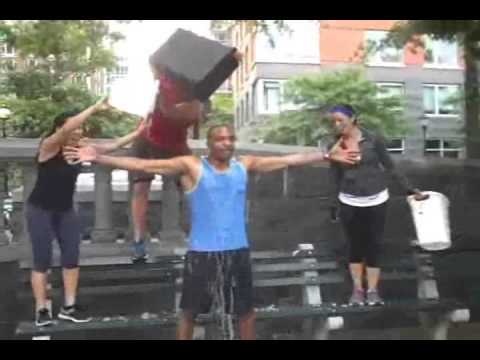 Alan Courtenay accepts the ALS Challenge from SNY finest Brooklyn Sal. I nominate Colin O’Leary, Tim Pratt, Saquan Jones, Okema Moore, and every boot camp in New York City. This entry was posted on Wednesday, August 20th, 2014 at 10:39 am	and is filed under Boot camp. You can follow any responses to this entry through the RSS 2.0 feed. You can leave a response, or trackback from your own site. WOW. 3 buckets and you didn’t even flinch! Tough. Impressive. Why are you keeping it a Secret?